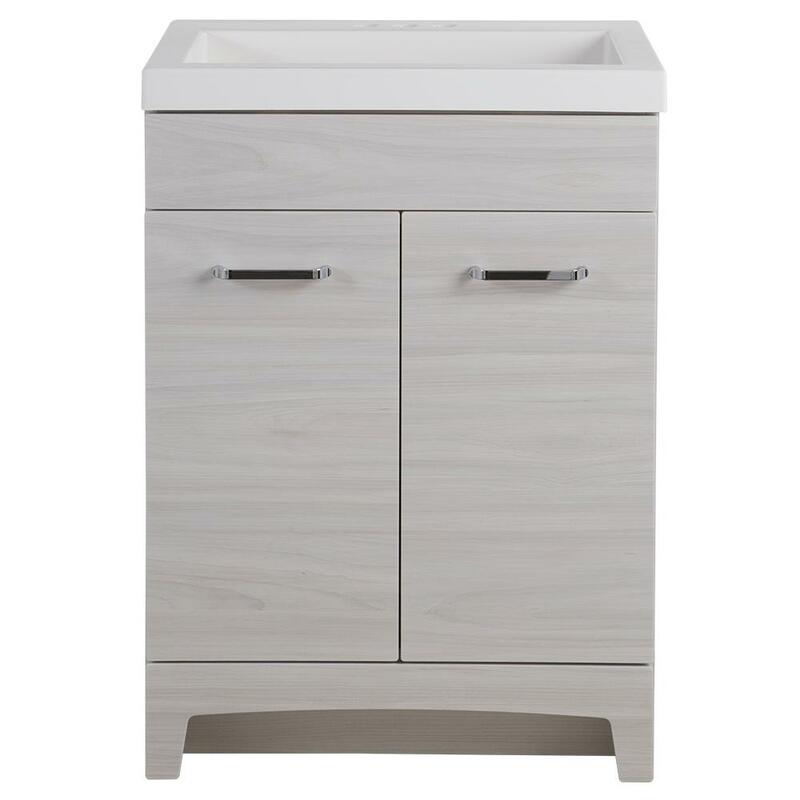 Bringing contemporary style to your home, the Glacier Bay Stancliff Vanity is the perfect complement to modern decors. Adorned with 2 chic, flat-slab panel doors with brilliant, chrome pulls, this 24.50 in. 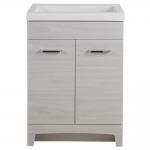 vanity boasts a light, white-gray finish with a natural wood-grain appearance, giving your bathroom a fresh, updated look. An integrated, cultured marble rectangular bowl offers plenty of space for your morning routine.